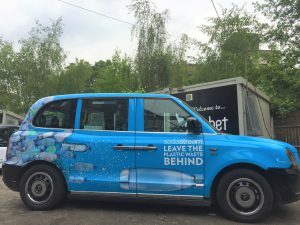 Look out for the SodaStream co-branded car on London streets this summer! As the world’s leading sparkling water brand, SodaStream is committed to helping the UK slash its single-use plastic bottle habit. 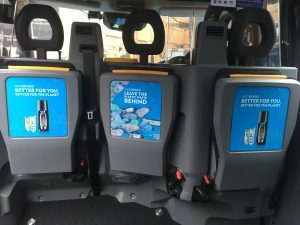 By having a pollution-free Electric Taxi, SodaStream is telling Londoners that they are an eco-friendly brand and are part of the solution to plastic pollution. #FlighPlastic by re-using SodaStream’s durable carbonating bottles time and time again to make sparkling water or to carry water on-the-go, customers don’t buy single-use plastic water bottles. 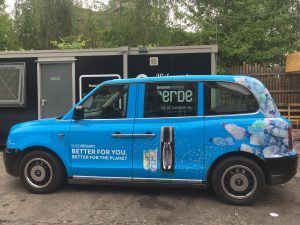 Figures from the UK, show that one SodaStream bottle in 2017 helped the average family reduce more than 1280 bottles and cans from our planet (Source SodaStream Global Data). 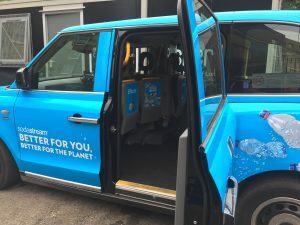 SodaStream continues to lead the pre-cycling mission with its electric black cab.